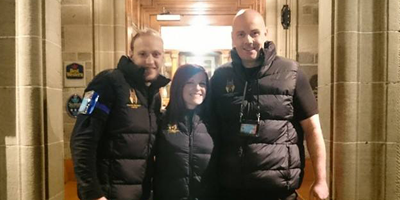 Here at Anubis Security we pride ourselfs in supplying effective and practical security services UK wide whether its Response Teams, Stewards, Close Protection Services or Door Supervisors. Legal experts and specialist lawyers in Carluke, Scotland who specialise in compulsory purchase, commercial litigation, employment law, commercial conveyancing, immigration lawyers, juvenile crime, human rights and more. Delivering high quality, highly personal services to every client is at the heart of our business. We are here to support you and your business at every step, working with you to grow your business and overcome any obstacles you encounter. John R. Muir & Co. Solicitors are an innovative legal firm with offices in both Airdrie and Carluke. We offer professional solicitor services at affordable prices. Established since 1976, our team of lawyers and property agents have built a strong reputation based on our exceptional legal services. Services include mortgage advice, counter services and cash machine. Open 5 days a week.